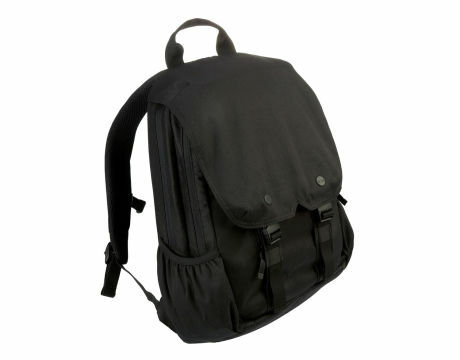 STM have kindly sent us another one of their bags to review – the aptly named backpack, the “Hood”. 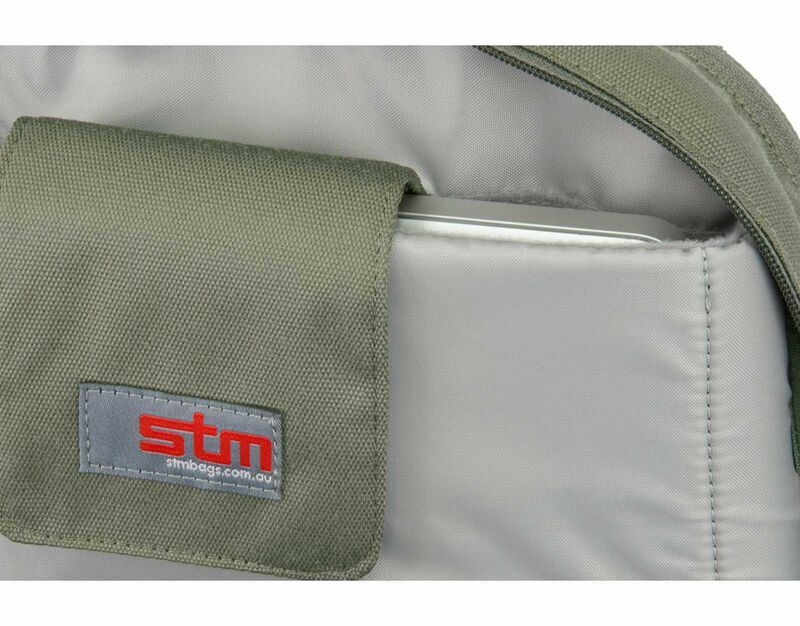 Like all of the STM bags that we have reviewed, it was made to very high standards with quality materials throughout the construction of the bag. This was evident when I road-tested the bag under the harsh winter conditions of Melbourne – all my belongings remained safe and untouched surviving a heavy downpour. 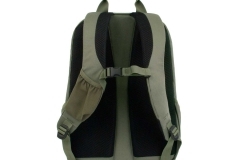 Our review sample was the black version but the Hood is also available in olive. 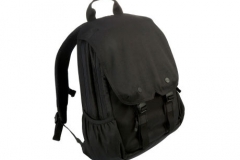 STM describes this bag as A sleek hands-free solution to your digital day. 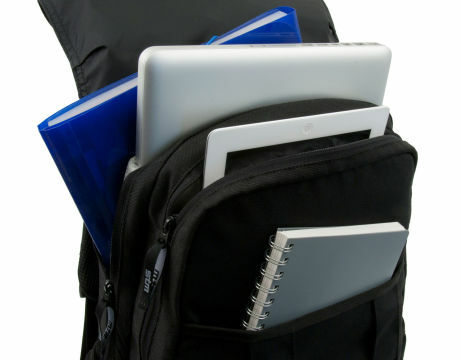 The hood carries just the essentials and protects your laptop, tablet and the rest, with ease and comfort along the way. Which in my opinion is exactly what it does. Unlike the Convoy, the Hood is a “slim profiled” backpack which was still large enough to carry my day to day work essentials: Laptop, Laptop charger, Phone charger, Folio, Stationary, glasses and my lunch. 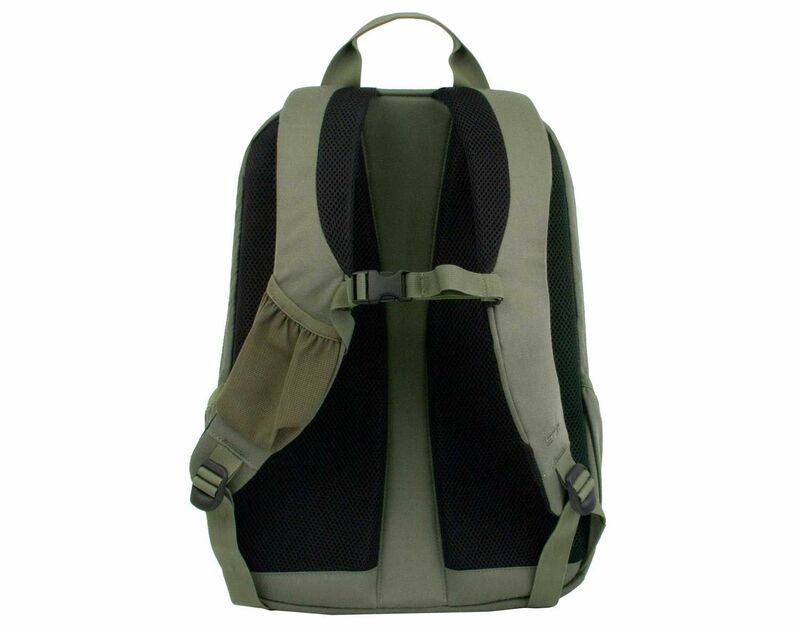 Whilst there is still plenty of space left in the bag, including a dedicated pouch for a tablet – it was not really large enough for overnight trips if you plan to carry clothing, wash kit, etc. 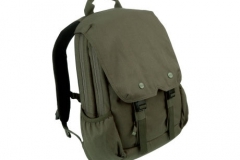 It is a bag perfect for the professional not concerned with looking pretentious, but more interested in a bag that is highly practical and functional, carrying the bare essentials required for day to day transport. *High density foam padded laptop section lined with soft brushed nylex The High density foam is a must now days, to keep your laptop from being crushed. However STM have taken it further in their bags by adding the soft brushed nylex, to ensure your laptop does not get scratched as well. 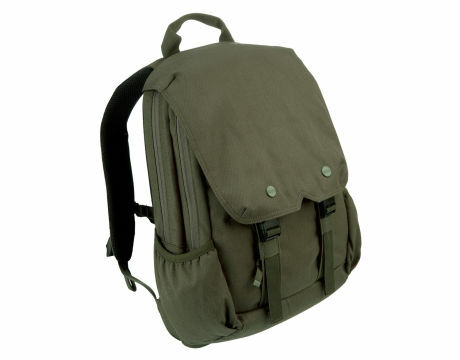 The laptop compartment is also positioned an inch or so from the bottom of the bag so that your laptop never touches the ground even when you have the bag sitting on the floor. 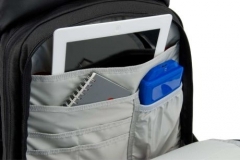 *Organisational panel with integrated iPad pocket lined with soft brushed nylex Your iPad (or any other tablet) is concealed as well as safe from scratches from other objects in your bag. 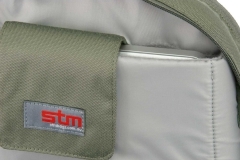 The soft brushed nylex is an example of where STM have really thought about their potential users and have understood that protecting your valuables is important in a modern bag. 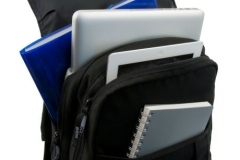 *Two main pockets providing space for books, folders and paperwork Whilst there is space for books – I suggest that they would need to be fairly thin. 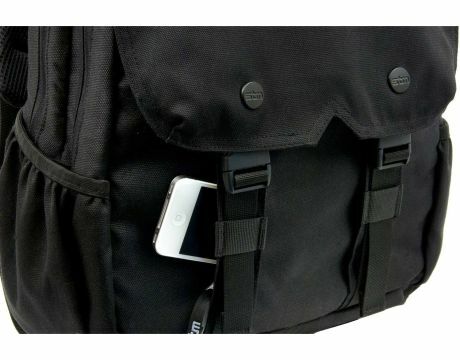 This bag is designed to carry e-books rather than text books or novels. That being said – you could comfortably fit one large book in here. The second compartment is primarily for your laptop and therefore, the remaining space is best utilized to carry paperwork. *Quick access pocket for drives, accessories, etc. 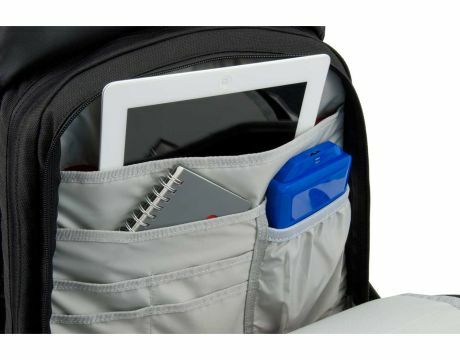 There are plenty of compartments for phones, pocket drives, accessories – more than I would likely use. 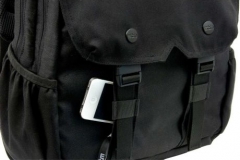 *Integrated phone pouch on shoulder strap for easy access Unfortunately the pouch is not large enough to house my Galaxy Note 2 as it was most likely designed for the iPhone or something similar in size. I carry my phone in my pocket and therefore would not use it anyway. Good additional features – both of which I personally would not use, but maybe useful for some people. We found the Hood online for $109.95 but in-store prices may vary.